These are emergency shelters for women and children who are victims of violence and natural disasters. This project reflects the voice of Soroptimist International of the South West Pacific and its goals and objectives. Fiji is ranked 4th in the world in terms of violence and is also prone to natural disasters; cyclones in particular. Fiji's rates of violence against women and girls are among the highest in the world. There is a severe lack of shelters in Fiji and victims are often brought back to their homes, where perpetrators can re-offend. Mrs Le, Patron of SISA, welcomed the region executive with SA club presidents to a morning tea and tour of the beautiful gardens of government house. Every 2 years in Federation of South West Pacific a conference of Clubs is held in the destination of choice of the Federation president. Plans are being made for this conference to be held in Thailand. The Conference is a time to renew friendships , make new friends, attend workshops, listen to inspiring speakers and catch up with club projects. A gala dinner on the last night sees the installation of the Federation President for next bienium 2020-2022. We welcome Anusha Santhivasthipam from Maylasia as our 2018-2020 Federation President. President Anusha's theme is.. The advocacy network has undergone some changes this year and has refined its focus on DV advocacy. Co facilitators Lorelle Molde and Matthew Morris Uniting Communities have re energised the group and we now have a facebook page and a website. SISA was one of the early partners. We are putting together a series of speakers for the year. Organising of the White Ribbon march is now being done by a separate group, including several White Ribbon advocates, meeting on a separate day. The first main Advocacy event was the recently held DV panel, with Assistant Minister Carolyn Power (Habib), Katrine Hildyard, Frances Bedford MP, Heather Stokes Barrister and Michael O’Connell, former Commissioner for Victims of Crime. Joining this group were Susie Smith and Kathy Lilis both from the DV Coalition and long term sector workers. The panel was moderated by Advertiser journalist, Lauren Novak. In the large audience were interested parties from a wide range of services and sectors. Carolyn Habib said that the government’s intention was to carry through on its election promises, including consultation with regional services similar to the city based Roundtable and increasing penalties for Intervention order breaches. 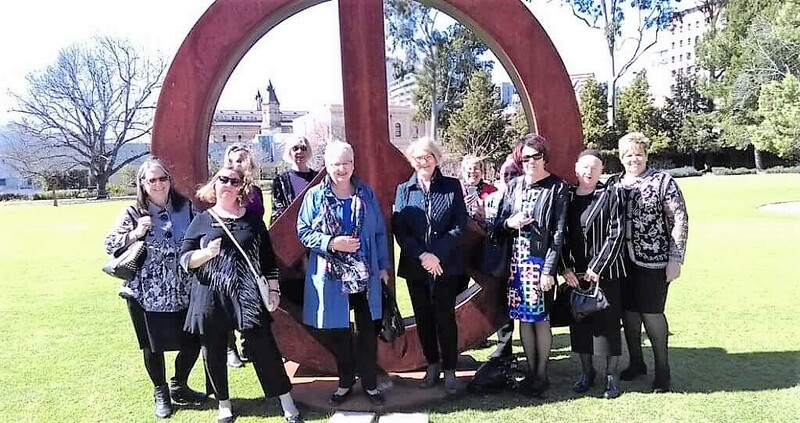 There was a strong sense of needing continuing bipartisanship and political commitment to funding DV services and DV related Legal Services, a point strongly made by Heather Stokes and reported in Lauren Novak’s Advertiser article the following day. Michael O’Connell recounted being on similar panels in several previous decades and was somewhat despairing of our lack of progress. Interesting questions came from the floor on a wide ranging group of issues. This was a morning well spent, as accessibility to political leaders brings greater opportunity for real change. 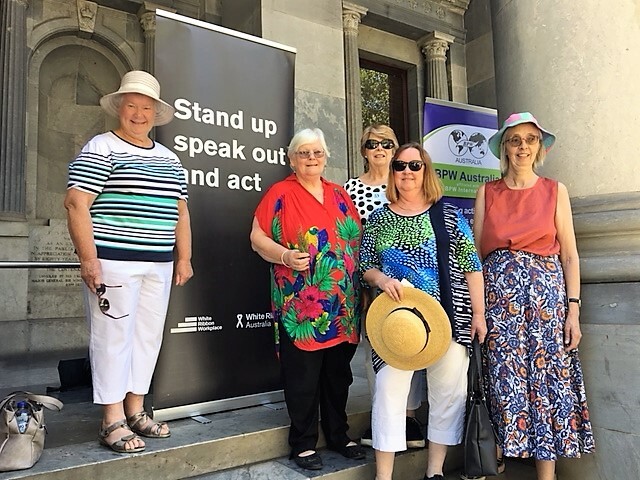 Soroptimist International South Australia are strong supporters of The White Ribbon Campaign. The WRC works to prevent men's violence against women. It seeks to promote wide-scale awareness about the positive role men can play in its effective prevention, to foster leadership, particularly by men and boys, and to bring about social change. 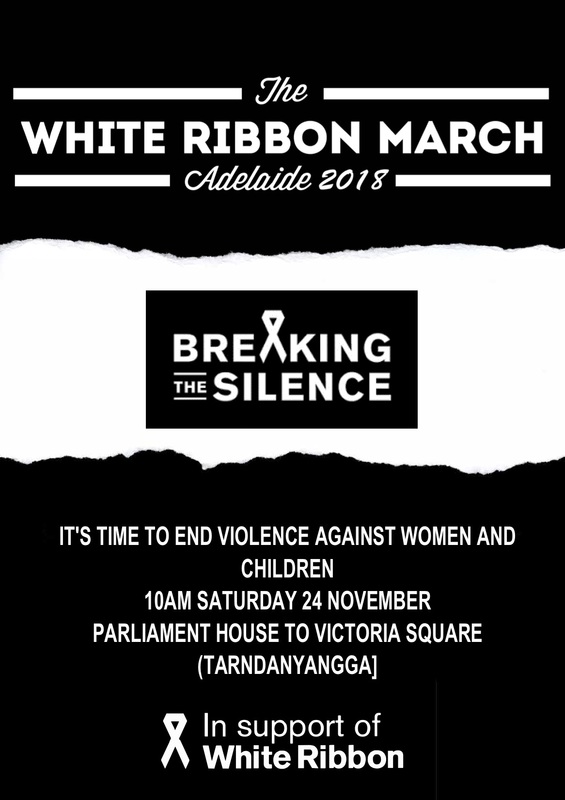 Each year the Adelaide White Ribbon holds a breakfast in November. The numbers have increased over the past 11 years since the first breakfast from 400 to 1400. 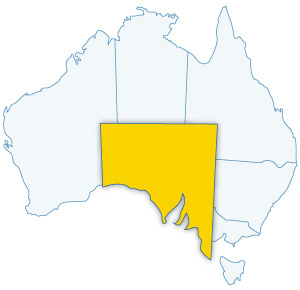 South Australia has the largest event in Australia and Soroptimists are proud to have a member in the organising committee. “If you or someone you know is impacted by sexual assault, domestic or family violence, call 1800RESPECT on 1800 737 732 or visit 1800RESPECT.org.au. In an emergency, call 000. For more information about a service in your state or local area download the DAISY App in the App Store or Google Play. Each year Soroptimists celebrate women's achievements on International Women's Day March 8th, while also remembering the struggles faced by women around the world. 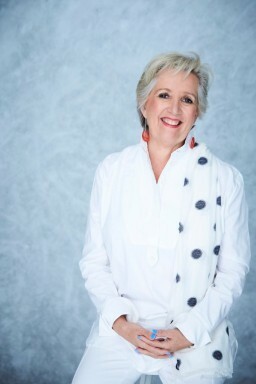 In 1993 the Adelaide International Women's Day Breakfast was established and is now the largest event celebrating IWD in Australia and, it is the largest Annual Women’s Event in the Adelaide. In supporting the work of UN Women National Committee Australia through the Adelaide International Women's Day Breakfast we were delighted that the breakfast was hosted by Senator Hon Penny Wong this year with Jane Caro a Walkley Award-winning Australian columnist, author, novelist, broadcaster, advertising writer, documentary maker, feminist and social commentator as our guest speaker. Tickets for this prestigious event go on sale online in February each year. Welcome to our website! Read through our club pages, see where we are and what we do, add event dates to your diaries and look at the galleries of photos. You're sure to find something that interests you. 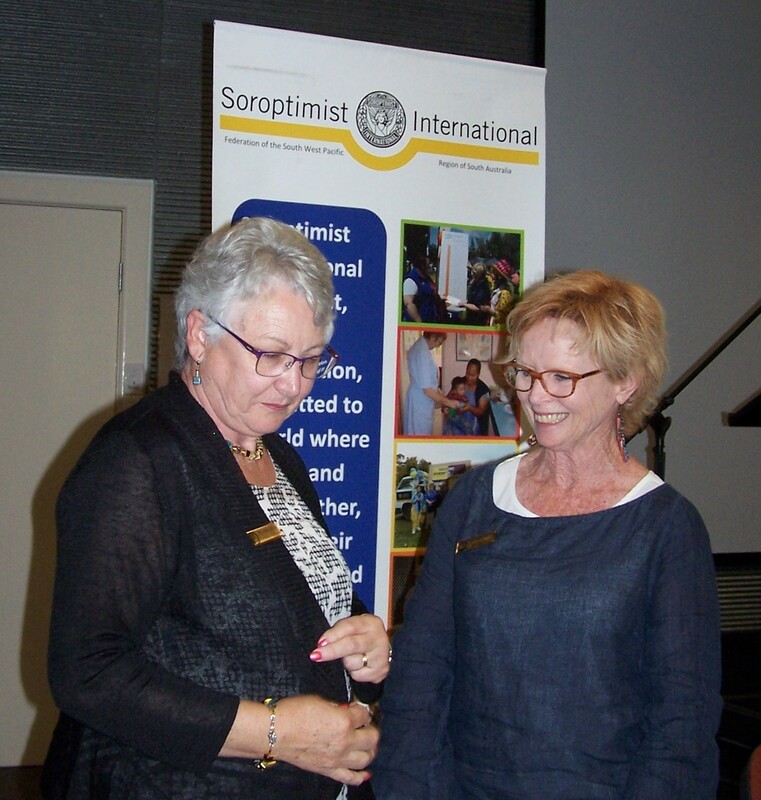 Soroptimist International is a world wide service group for women. We work towards improving the lives of women and girls through a gobal network of members and international partnerships. Women linked as sisters around the world working to enable the best in all women everywhere. 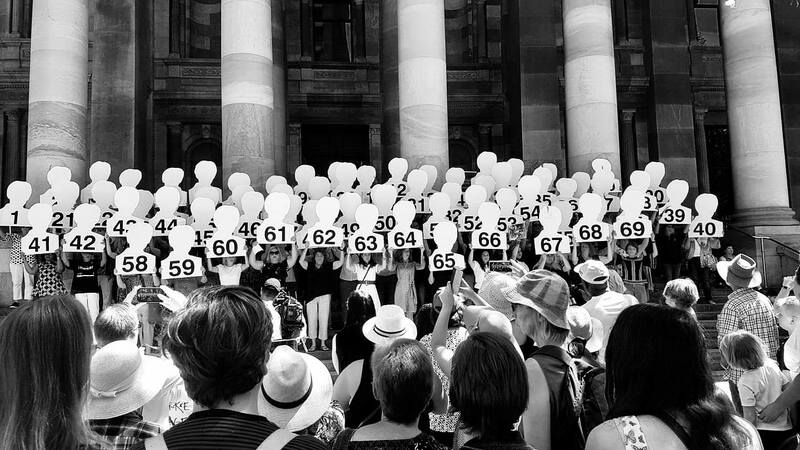 It was a very moving ceremony, with 69 women holding up a number each, representing the 69 women murdered in domestic, family and violence against women incidents in Australia last year. SISA members held a number. Each number was held aloft whilst the name (if published), location and culprit (where known, which in most cases it was) of each of these women was read out. Of the 69 murders, all but 4 were committed by men. A period of silence followed the reading out of the details. At the February 2018 AGM, Allison Hobbs handed over the reins to Christine Plunkett, after a successful 2017 year of activity. Christine has a focus on homelessness during her 2018 year as President and this topic was reflected in the theme of the AGM. congratulations si murray bridge on receiving Australia day awards! 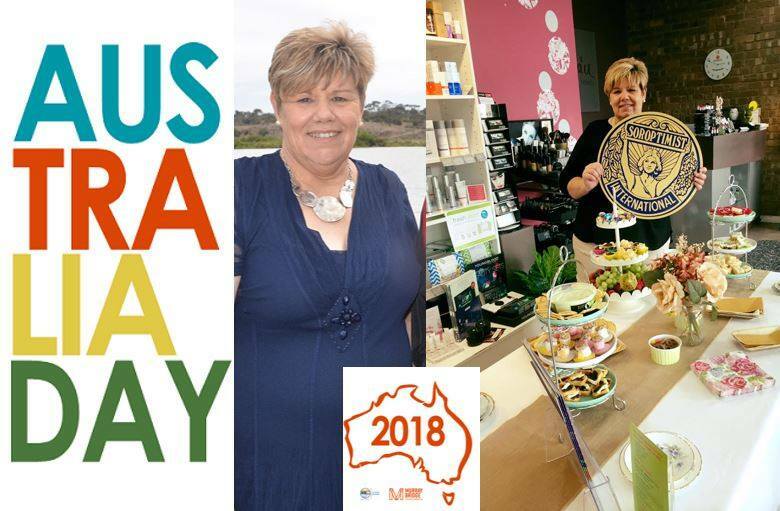 Soroptimist International Murray Bridge - in conjunction with Carers SA and Raptcha’u Beauty - held a ‘Pamper Day for Young Carers’ last year to give four young women (with too much responsibility) some well-earned time off to focus on themselves This community event was awarded the Rural City of Murray Bridge Community Initiative of the Year at the Australia Day celebrations held yesterday. 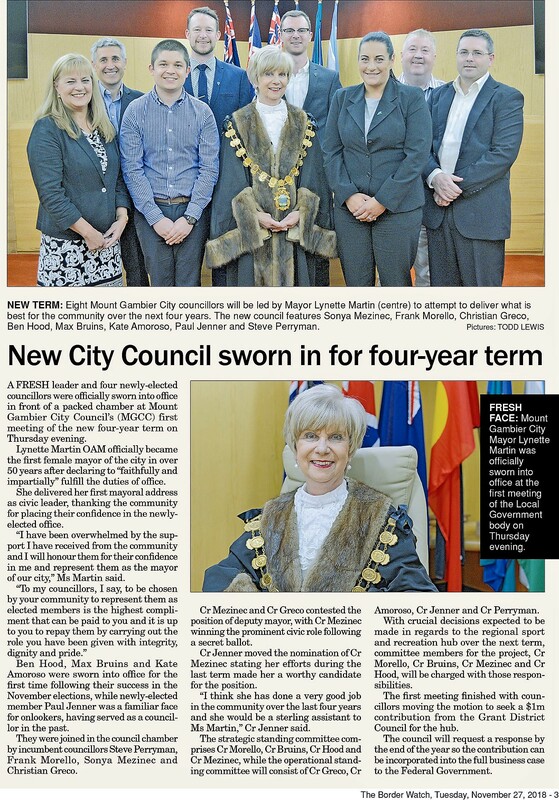 Big congratulations to our President, Bronwyn Heard, for her fantastic efforts in pulling this together. Well done. Very moving Bangka Day Memorial Service at SA Women's Memorial Playing Fields. What an honour to be amongst those present to honour those brave nurses. Recognition too, of vision in the establishment of those playing fields for women and girls and continuing dedication of trust members. Credit to current SA Govt for recent funding anouncement will be a huge benefit. 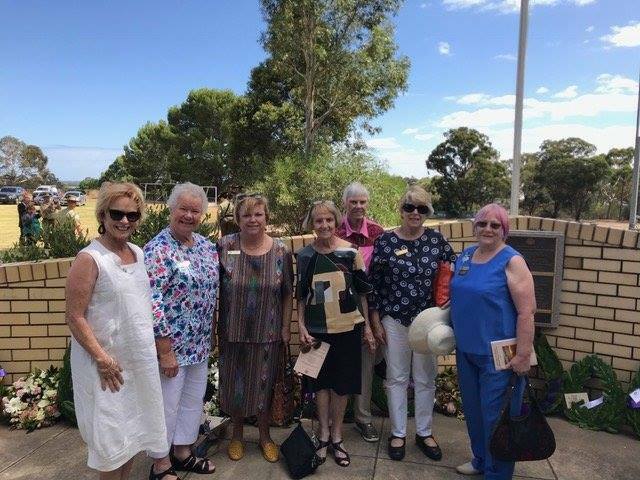 South Australian members attending service, Allison Hobbs SISA President, Susan Newton SI Torrens, Kath Gribble SI Barossa Valley, Pauline Nutt SI Adelaide, Jenny Hughes SI Port Pirie, Pam Lacey SI Adelaide, Anne Berry SI Torrens. Not shown in photograph was the Region Representative on the SA Women's Memorial Playing Fields Trust Helen Fischer as she was working at event. 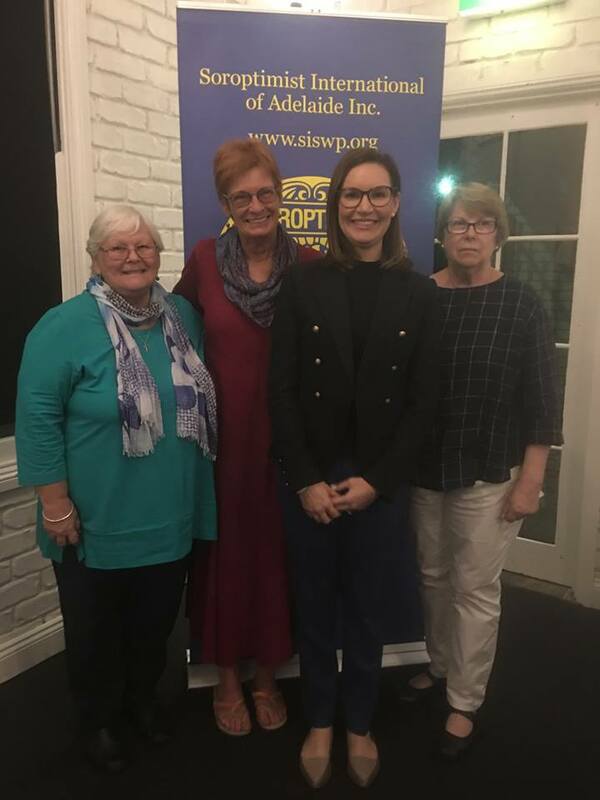 Soroptimist International of Adelaide Esther Bright Travel Award. Open for female tertiary students for travel within Australia or overseas as part of their studies. click here for further information and application forms. Copyright © Soroptimist International South Australia.